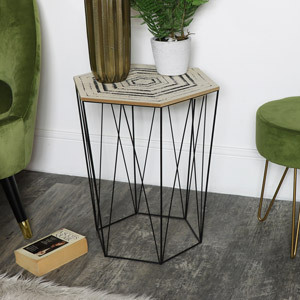 This is just the start of designing your bedroom. 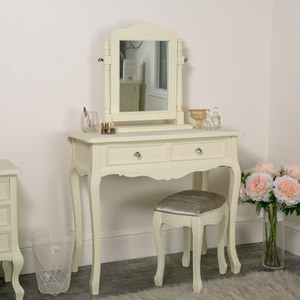 When creating your dream bedroom, you need to find that perfect dressing table set so that you can pamper yourself in style and elegance. 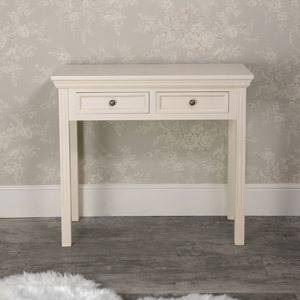 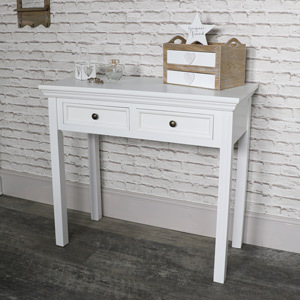 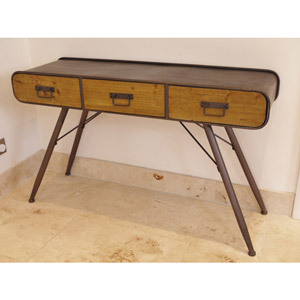 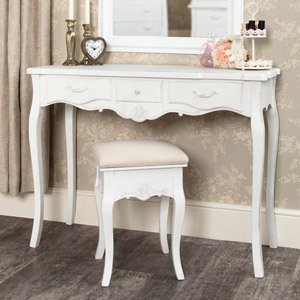 Our beautiful selection of dressing tables gives you so many choices. 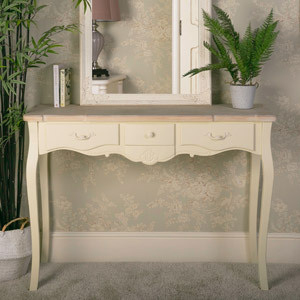 Whether you're looking for ideas or already know what you want, we can help. 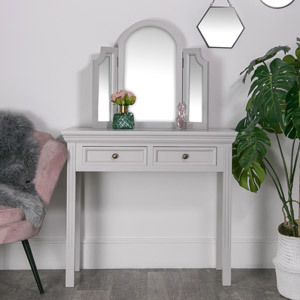 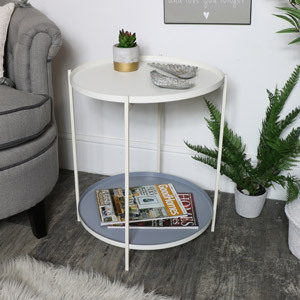 , we have cream dressing tables, grey dressing tables and mirrored dressing tables and all the colours and styles in between, each have triple mirrors to swing mirrors and mirrors with additional storage. 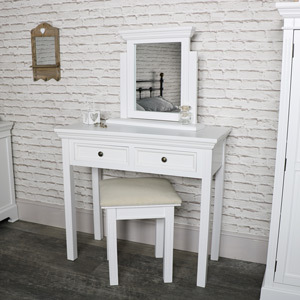 From dressing table sets complete with mirror and stool to simply the dressing table only, we have so many options. 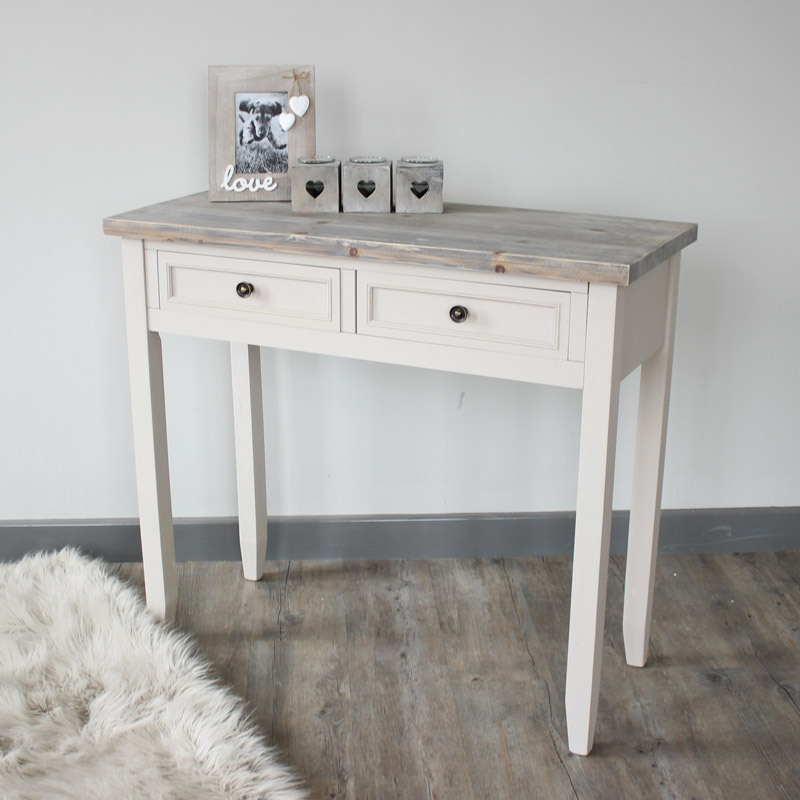 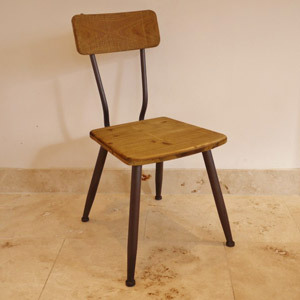 If it's classic French style or a distressed vintage, country look, we specialise in painted furniture. 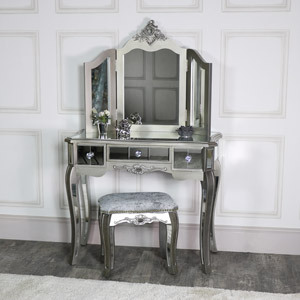 So if your looking for cream, white, ivory, grey, silver and mirrored, we have it all. 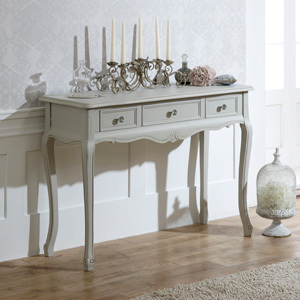 Shabby chic and French style is the way to go. 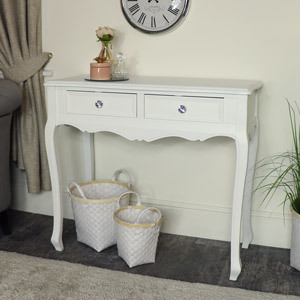 Size is also an important factor, we have dressing tables in various sizes from the small and compact to the large and extravagent, all offering storage solutions for your bits and pieces. 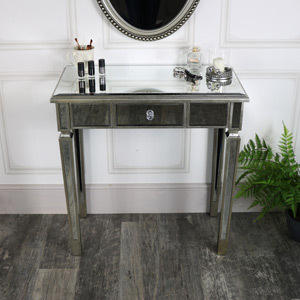 Combining practicality with style and elegance has never been easier. 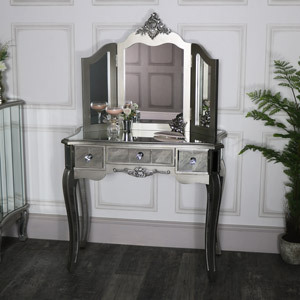 We have all you need to go that step further and furnish your whole bedroom how you want. 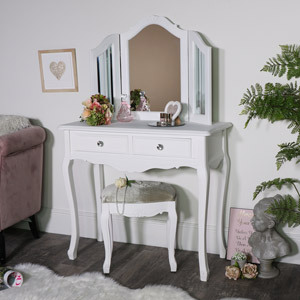 With co-ordinating furniture that will give you a full bedroom experience with our chests of drawers, bedside tables and wardrobes. 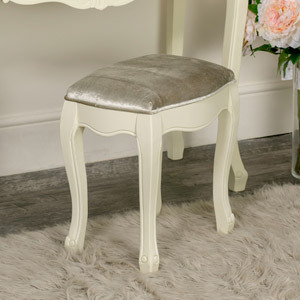 Create a bright, lively space to an opulent boudoir. 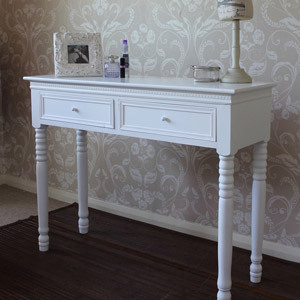 We have everything you could want to make your dream bedroom come alive.